Well, every once and awhile it pays to keep researching past sites. A new photo I had missed is on the Auckland Libraries website from their Sir George Grey Collection. 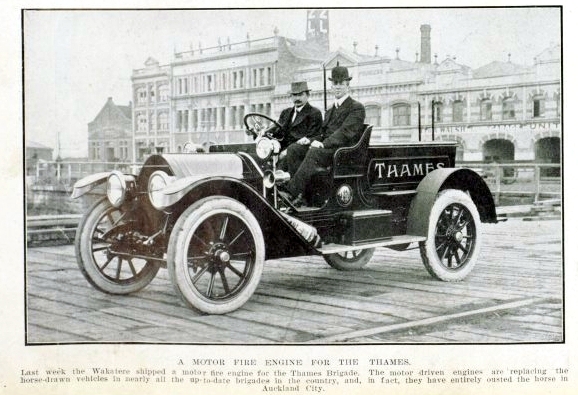 The caption reads: "A MOTOR FIRE ENGINE FOR THE THAMES. Last week the Wakatere shipped a motor fire engine for the Thames Brigade. The motor driven engines are replacing the horse-drawn vehicles in nearly all the up-to-date brigades in the country, and, in fact, they have entirely ousted the horse in Auckland city." On the 19th July 1912, a large gathering assembled at the Thames Central Fire Station to celebrate the inauguration of the new motor reel service. 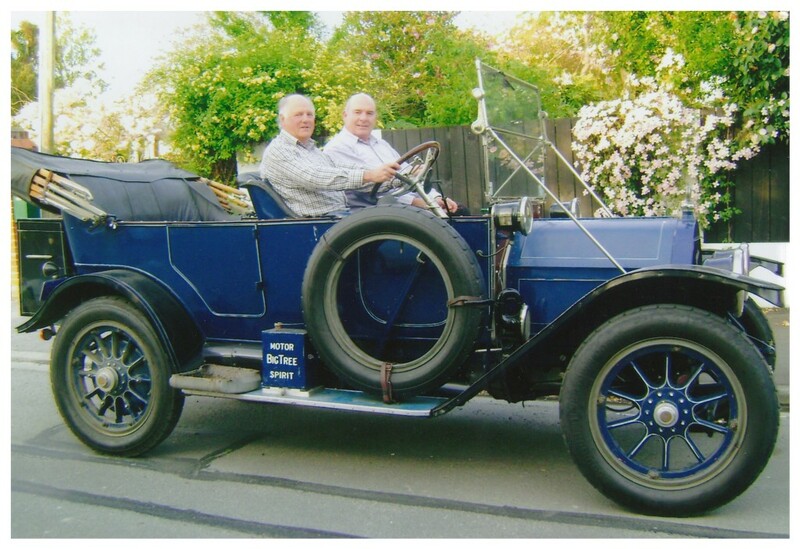 The chassis had been imported from England and fitted out by Dexter and Crozier in Auckland. Money had been principally raised by members of the public, the cost of the machine was 518 Pounds and 19 shillings. If you read the comments below, you will see that I was alerted to the fact that the old fire truck still exists and has been adapted back into a tourer. The following image comings from the Palmerston North Boys High School website - please respect the possible copyright requirements of the photo. Thames' old 1912 Fire Truck now restored.